The statue of Paul Bunyan has graced the entrance to Bangor, Maine since 1959. Situated on Main Street, he was given a place of prominence, in front of the Bangor Auditorium with a commanding view of the Penobscot River, all in a peaceful park setting. Things have changed in his “neck of the woods” now that the Cross Center and Hollywood Casino create the new entrance to the Queen City, but Paul still seems to represent the strength of Bangor. 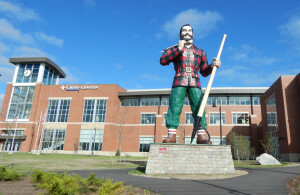 Commissioned by the City of Bangor, J. Normand Martin designed and created Paul to illustrate the fact that Bangor was the birthplace of the lumber trade in the U.S. I have been told that to this day, the Martin family still has a life-size model of Paul in their basement. The Paul Bunyan statue has become one of those unique pieces of history that intrigues visitors and has been a source of conversation for years for native Bangorians. Rarely a day passes that you don’t drive by to see a tourist upon Paul’s stone pedestal having a photo taken. Just one of the many stops on the “tour of Bangor” that usually includes the Thomas Hill Standpipe, Bangor Public Library, and Steven King’s house on West Broadway. During the construction of the Cross Center, Paul was rejuvenated. The paint on his plaid shirt and green pants was brightened, and he was generally cleaned to ensure that he would be standing tall to greet visitors to Bangor, Maine for many years to come. The Hatch House after its remodel circa 1855. 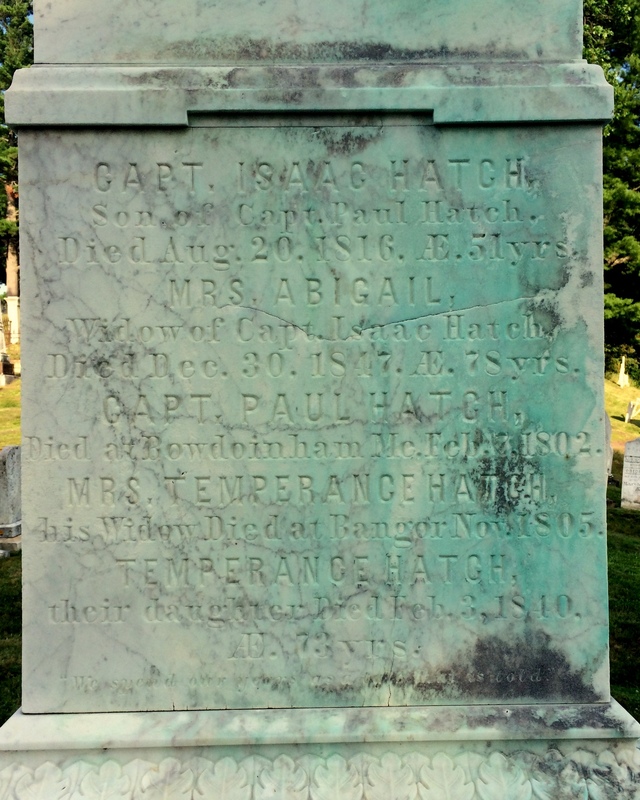 In 1800, Captain Isaac Hatch came to Bangor with his wife, Abigail Clark Hatch and their five children (Isaac and Abigail would have three more children after their move). In 1802 (or maybe 1801, records are unclear), Isaac and Abigail would build and open the growing town’s first hotel, the Hatch House. On Main Street at the corner of Cross Street and set back about 40 feet from the road, the Hatch House was a simple two-story wooden frame federal style building that was the family business, but also the place the Hatch family called home. In its earliest days, the Hatch House wasn’t much more than a stagecoach stop. As Bangor grew, so did Isaac and Abigail’s business. Eventually the inn was one of the city’s most popular, housing overnight guests along with boarders who stayed for longer periods of time. Isaac and Abigail ran Hatch House together. Something that was made clear during the 72-hour British occupation of Bangor in September, 1814. 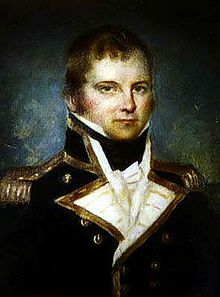 After British forces, under the command of Royal Navy Captain Robert Barrie, had successfully overtaken the Eastern Militia at the Battle of Hampden, the troops moved their three ships on to Bangor. When they came ashore, Barrie demanded provisions and quarters for his men. He threatened to burn the town if residents didn’t comply. After Barrie banned liquor for his troops, they began looting and plundering the town. Six stores were damaged, resulting in nearly $6,000 in damages. But this is where things got interesting for the Hatch House. During the occupation, soldiers came into the tavern at the Hatch House and, using their swords, cleared the china and silver from every table sending it crashing to the floor. They left the tavern in shambles. Abigail wouldn’t stand for it. She totaled up the damages and sent a bill to Captain Barrie. He ordered his quartermaster to pay and reportedly, recouped the monies from his soldiers’ wages. After things returned to normal, so did operations at the Hatch House. 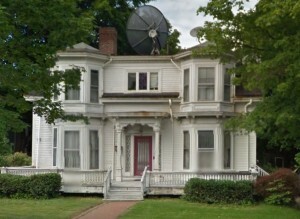 Tho roof line of the Hatch House is seen at the base of the third line from the left. 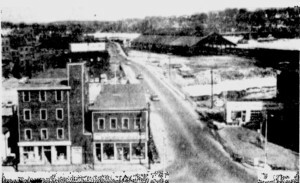 Isaac expanded his business interests, dealing in lumber and in 1815, opening a store at the foot of Water Street where he imported and sold dry goods. Unfortunately, those interests didn’t last long. 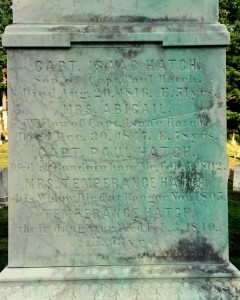 Isaac Hatch died in August, 1816 at the age of 51. After Isaac’s death, Abigail and one of their sons, Thomas F. Hatch would continue to run the inn, seeing it through disasters, changing times and an ever-expanding city. In 1837, five wooden structures adjoining the Hatch House would be destroyed by fire, but the inn would survive. Abigail died on December 30, 1847 at the age of 79. 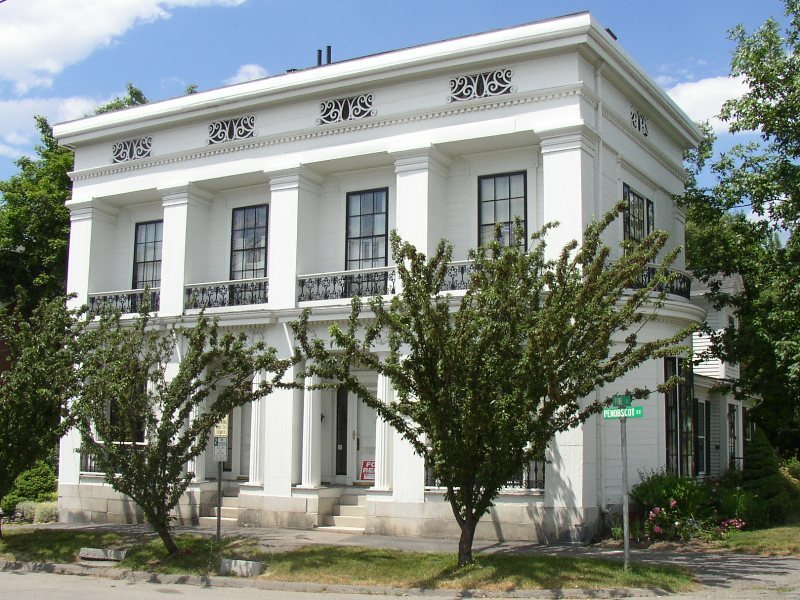 Around 1855, the Hatch House was moved closer to the street and the façade remodeled in the then popular Gothic Style by architect Benjamin Deane. The remodeled structure was destroyed by fire in 1874. 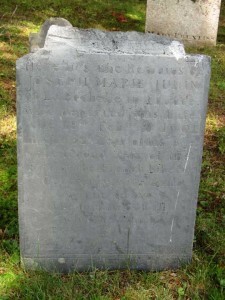 Isaac, Abigail and many of their children and grandchildren are buried in Mt. Hope Cemetery. The marker honoring Peter Edes. On the corner of Hammond and High Streets, in front of the Hammond Street Congregational Church, is a historical marker dedicated to the man who published Bangor’s first newspaper, Peter Edes. While his legacy as the first printer in Bangor, publisher of the Queen City’s first newspaper and one of Maine’s first publishers is important, his direct connection to the events that resulted in the formation of the nation are lesser known. The son of one of the most prominent Sons of Liberty, Benjamin Edes, at the age of 16 Peter was dubbed a “Boston Bad Boy” by British General Thomas Gage because of his unabashed views and comments. Benjamin Edes, Peter Edes’ father. Benjamin Edes, also a printer, was a well-known Patriot in Boston. On December 16, 1773, a number of men including John Hancock and John Adams gathered at Edes’ Brattle Street home. They were served punch by an almost 17-year-old Peter from the Edes Family punch bowl before moving on to Benjamin’s Queen Street printing shop, disguising themselves as Indians and heading to Boston Harbor. What happened next was key in the formation of our nation’s history and is known as the Boston Tea Party. It’s one of the reasons Benjamin Edes is known as the ‘Father of the Boston Tea Party’. 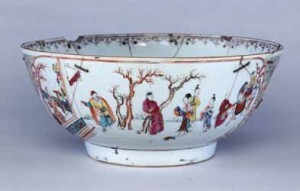 The Edes Family Punch Bowl. Image from the collections of the Massachusetts Historical Society. Raised around such emphatic patriotism, it’s not surprising that young Peter shared many of his father’s views. During the Battle of Bunker (Breed’s) Hill, British soldiers overheard Peter’s “enthusiastic patriotic utterances” from his viewing point on Copp’s Hill. Two days later he was arrested, charged with possessing firearms and imprisoned for three and a half months. Peter kept a diary during his imprisonment that detailed the horrific mistreatment of prisoners. His diary is now part of the collection of the Massachusetts Historical Society. The printing press used by Peter Edes to publish Bangor’s first newspaper. Peter’s strong views, and unapologetic expression of them, would follow him throughout his life. After his imprisonment, Peter apprenticed with his father before opening his own Boston printing shop in 1784. 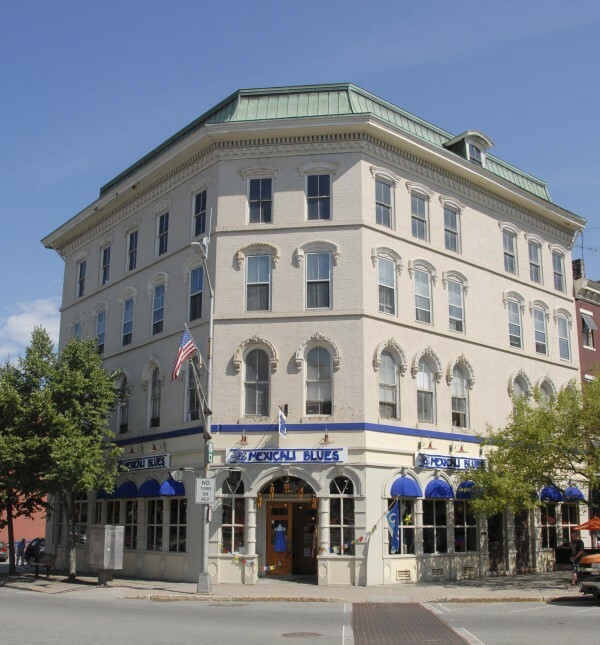 He closed that shop in 1786 and moved on to open shops in Newport, Rhode Island and Augusta, Maine before coming to Bangor in 1815. When he decided to move to Bangor, he hired a team of six oxen to haul his printing press and equipment north. The 12 day journey cost $143—almost $2200 in today’s dollars. He opened his shop at 43 Main Street, now the site of Rebecca’s, and lived on Ohio Street. The Bangor Daily Register printed its first edition on November 25, 1815. Edes charged a $2 annual subscription fee, but accepted payment in the form of “wheat, butter, cheese or rags”. Sadly, after only two years he sold the paper. He wanted to expand the business to printing books and pamphlets and there simply wasn’t enough demand in the area. It was a decision he personally regretted and in 1832, at age 76, Peter Edes returned to the Queen City. He would spend his last eight years living with one of his daughters and her family in a home next to the one he used to own. At the time of his death in 1840, Peter Edes was the oldest living printer in the United States. He is buried in Mt. Hope Cemetery. Edes printing press and editorial chair from the Bangor Daily Register were donated to the Bangor Historical Society. Unfortunately, those were two of the items destroyed in the Great Fire of 1911 when the BHS lost its entire collection. Peter Edes’ Ohio Street home. The location of the historical marker in front of the Hammond Street Congregational Church isn’t as misplaced as it may seem. The marker was placed there because it was within sight of Edes’ beloved Ohio Street home. One of Bangor’s largest cemeteries sits on Ohio Street, bordered by the Kenduskeag Stream. Unlike the nearly 300 acre Mount Hope Cemetery on State Street, Mount Pleasant is just under 70 acres and younger—established in 1854 versus Mount Hope’s 1834. But Mount Pleasant Cemetery has a rich history all its own and is the final resting place of some of the region’s best known residents. In the 1830s, as Bangor was booming with the growing lumber and shipping trades, its Catholic community was also growing. In 1836, local parishioners had established a cemetery at the corner of Buck Street and West Broadway but the Irish Potato Famine in 1845 brought a rapid increase in the number of immigrants to the Queen City. Most of those newcomers worshipped in the Catholic Church. It’s believed that the Irish Catholic Community doubled during that time. 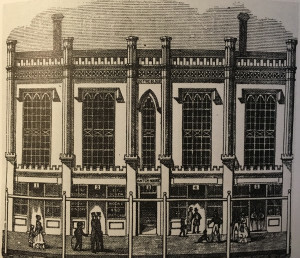 By 1854, worship attendance was exceeding the current church’s capacity, leading leaders to create an “overflow” area in the street for members to hear services. That December construction began on what would become St. John’s Catholic Church on York Street. The church itself wasn’t the only thing nearing capacity. The Buck Street Cemetery was also running out of space. That’s when Father John Bapst approached four Irish immigrants, Michael Boyce, Alex McKinnon, Patrick Wall and Michael McCarty about purchasing 14 acres along the Kenduskeag Stream to be used as a burying ground for the city’s Catholic community. 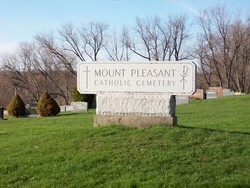 They agreed and Birch Hill Cemetery, as Mount Pleasant was originally known, was founded. An exact date or reason for the name change is unknown. west during the California Gold Rush and returned a very rich man after Field and his business partner discovered one of the largest mines in the country. movies and TV. 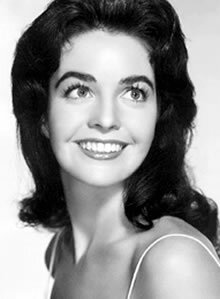 She appeared in TV’s “Zorro”, “The Adventures of Superman”, “Batman” and many others. She also had a short-lived relationship with Joe DiMaggio. It was while she dated him that she received death threats from a mental patient who couldn’t bear the thought of DiMaggio with anyone other than Marilyn Monroe. Fahey died of cancer in 1973 at age 40. 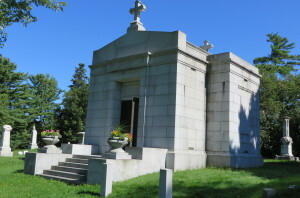 The direct lineal descendants of one of Bangor’s most notable families, the Cassidy’s, are interred in a grand mausoleum within the gates of Mount Pleasant. 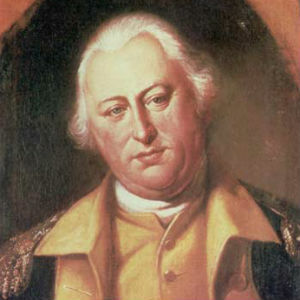 It was John Cassidy who first arrived in Bangor, making a fortune from Maine’s timberlands. The family crypt was constructed of granite blocks more than 100 years ago and is maintained through an endowment. Finally, the four Irishmen known as the founders of Mount Pleasant, Boyce, McKinnon, Wall and McCarty are all buried on the namesake hill within Mount Pleasant, Birch Hill. Junin’s store was located on this spot. Penobscot Plaza now sits on the land where the railroad building is in this photo. In 1790, merchant Joseph Junin came to Bangor from Castine. He set up his business, primarily trading with Native Americans, along the shores of the Penobscot River near what is now the Penobscot Plaza (the former site of Union Station). At the time, it was common for one’s home and business to be located close to one another, if not in the same place. Junin was no exception. Just 31 years old, Junin may have predicted the success of his business trading blankets, cloth and rum for furs from the Native Americans. What he couldn’t have guessed was that his legacy in the Queen City would be sealed the next year when he was murdered in his home, the first murder victim in the young settlements’ history. On an exceptionally cold, snowy night, Junin’s nephew Louis Paronneau, who lived near Junin, burst into the home of neighbors Jacob and Elizabeth Dennett. Paronneau was upset and shared his concern for his Uncle’s safety because, according to him, the relationship between Junin and the Native Americans had taken a turn for the worse. He told the Dennetts that he had seen “angry Indians” lurking around his Uncle’s property that evening. He feared an unfortunate event was to come. The site of Junin’s cabin and store in 2011. The Dennett’s attempted to calm Louis, assuring him that Junin’s relationship with the Native Americans was one of respect. Louis left the Dennett’s home. That’s when there was gunfire. When the neighbors went to Junin’s cabin to investigate, they found the merchant shot twice in the head and muskrat skins scattered around the property. With no tracks left in the knee-deep snow or other signs of a struggle, neighbors began to suspect something was not as it seemed—that the Native Americans were not to blame for Junin’s death. The lack of evidence against the Native Americans led to Louis Paronneau’s arrest and trial for the murder of his Uncle. On February 22, 1791, he was found innocent due to circumstantial evidence—a verdict that outraged Bangor residents. After his release, Paronneau disappeared. Rumor has it that he went back to his native France where he lived very comfortably for the rest of his life—possibly using the money received from goods stolen during the robbery and murder of his Uncle. Junin’s grave in Mt. Hope Cemetery. Joseph Junin was buried in the burying ground at Oak and Washington Streets. It, along with other graves on the site, was later moved to Mt. Hope Cemetery where Junin rests today. The ornate Wheelwright & Clark Building has graced the corner of Main and Hammond Streets since 1859 when clothiers Joseph Wheelwright and J.G. Clark erected the structure as the new home for their growing retail and wholesale business. Wheelwright Clark & Company began in the 1830s when Joseph Wheelwright purchased his employer George Furber’s failing clothing business. Initially, the company was named for Joseph’s father, George Wheelwright who worked with his son. In 1840 it was the only clothing store in Bangor. George died in 1845 and Joseph ran the business alone until 1850 when he brought on one of his clerks, J.G. Clark, as a partner. 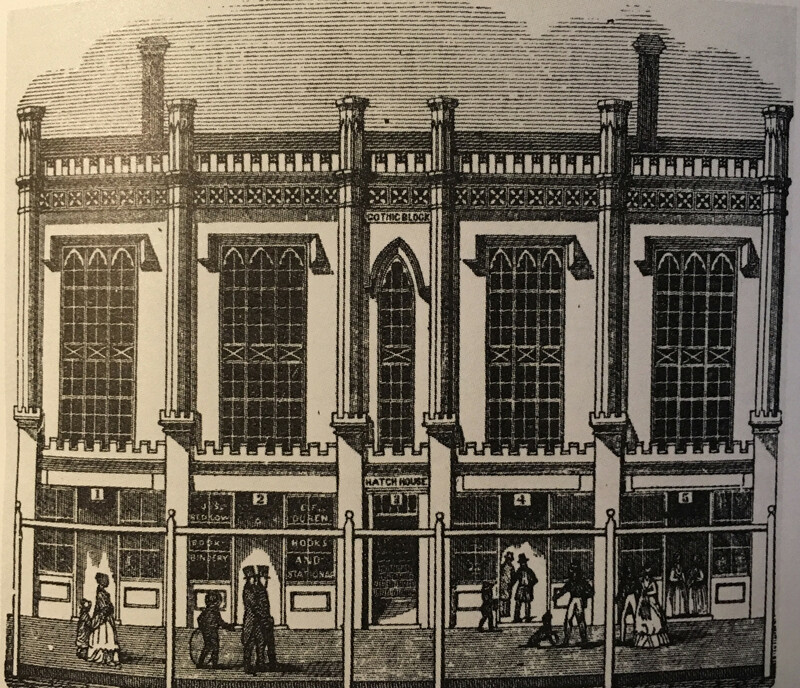 By 1859 the business had grown so successful that a new building was necessary to house the wholesale and retail divisions. That was when the owners contracted with Col. Benjamin S. Deane to design a new building. 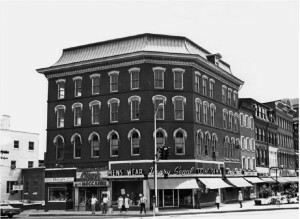 Wheelwright & Clark housed their retail department on the building’s first floor using the other floors for wholesale sales and manufacturing. They also leased out portions of the building—a venture that put them in the center of scandal in 1861 when an angry mob accused newspaper publisher Marcellus Emery of being a Southern sympathizer. Emery published his paper, The Democrat, from his fourth floor offices in the Wheelwright & Clark Building. Earlier that year, J.G. Clark, sensing that Emery was inviting trouble with some of his views, asked his tenant to remove his printing press and other property from the building. 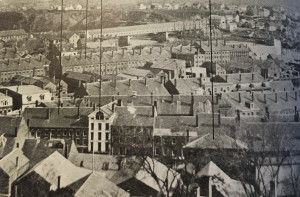 Emery refused and on August 12, 1861 an angry mob stormed the office and ransacked Emery’s office throwing pieces of the printing press out the windows and into West Market Square. Emery would publish The Democrat the next day, but from another printing house. Wheelwright and Clark also found prosperity during the Civil War years. The company was awarded a contract to make 3,200 uniforms for the Union Army. To complete such an order,Joseph and J.G. subcontracted with the tailors in the city. What the tailors and Wheelwright’s employees couldn’t finish, the women of Bangor did, meeting at City Hall and sewing for many days in a row. 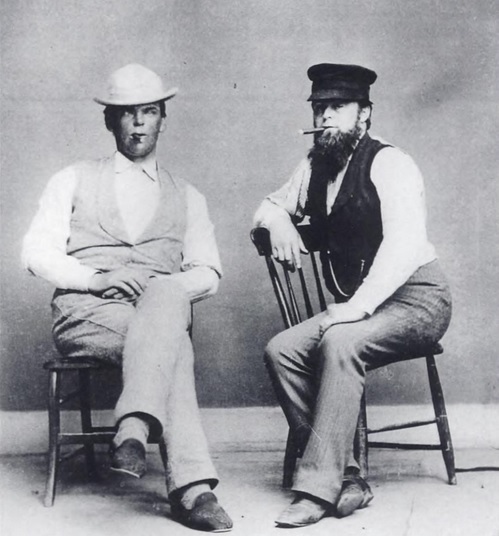 In 1878, Joseph and J.G. decided to focus solely on their wholesale business and moved Wheelwright & Clark to the Phenix Building next door. That year they reported more than $500,000 in sales and employed more than 200 people. Two of their former retail employees took over the retail and custom departments, naming the company Robinson & Arey and continued to operate on three floors of the Wheelwright & Clark Building, employing 50 people. The grand structure Joseph and J.G. built in 1859 survived both the Great Fire of 1911 and Urban Renewal and is mostly unchanged. Cast iron elements have been removed and just one of the five roof dormers remain, but the overall look and lines of the building remain true to Deane’s design as it looms over West Market Square today. In the heart of one of Bangor’s most prominent historical districts sits a home built for two of the state’s most powerful past politicians. Still considered part of the Broadway Historic District, the Edward Kent-Jonas Cutting Double House sits on the corner of Penobscot and Pine Streets. An elegant and ornate Greek-Revival style, it was designed in 1833 by architect Charles G. Bryant for law partners, Edward Kent and Jonas Cutting. While it looks imposing from the front, the Kent-Cutting House is a bit deceiving. 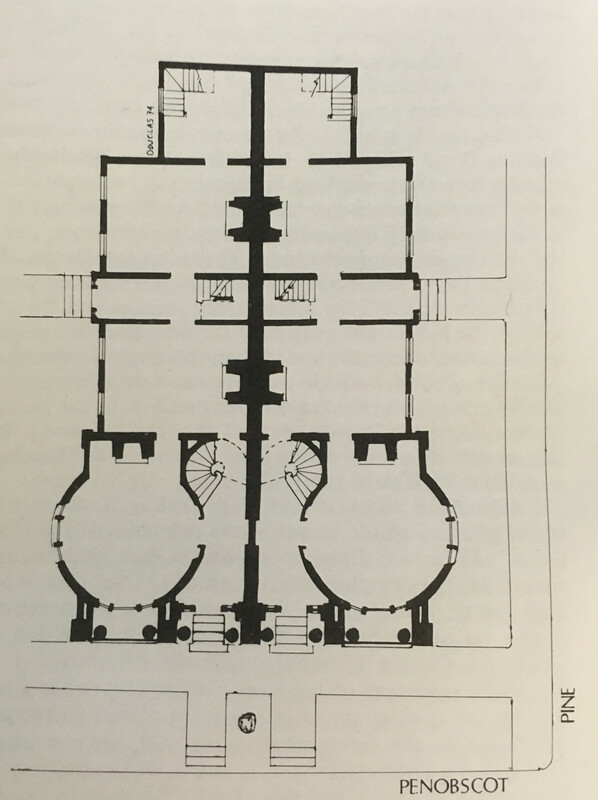 Standing three stories, the original plan of the house was a relatively narrow structure. The 2-level addition we see today was added in the late 19th Century. It’s believed that the home was smaller than other double houses because Kent and Cutting didn’t require the same amount of space in their homes as the wealthy merchants who usually built double houses. It’s also assumed that because they both served in the public sector, they simply didn’t make enough money to afford a larger home. While the home itself is a testament to Bangor’s history, the accomplishments and lives of the men who built it are even more so. Kent and Cutting were business partners for more than 18 years and close friends who also excelled individually. Jonas Cutting was born in New Hampshire in 1800, graduated from Dartmouth in 1823, was admitted to the Bar in 1826 and then moved to Orono. Cutting would move his practice to Bangor it 1831, but not before meeting his future wife, Lucretia Holland Benncoh Cutting, daughter of John Bennoch. They would marry in 1833. In 1854, with a successful law practice in Bangor, Cutting would be appointed as a Maine Supreme Court Justice, a position he would hold until April 1875. Jonas and Lucretia would have four children. Sadly, only one of those children would live past the age of 21. 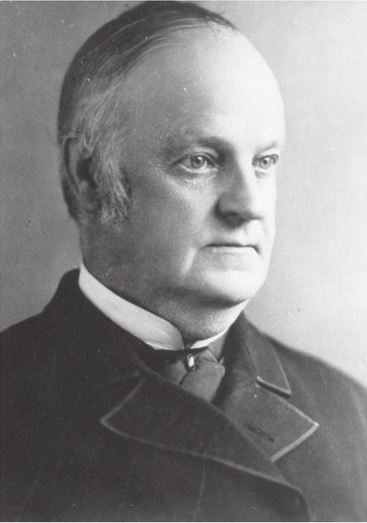 Daughter Helen Cutting would eventually marry Dr. Augustus C. Hamlin, nephew of Vice-President Hannibal Hamlin and son of Elijah Hamlin, the first President of the Bangor Historical Society. Jonas Cutting died in August, 1876. Edward Kent was born in New Hampshire in 1802, just two years after his friend and neighbor Jonas Cutting. He came to Bangor after graduating from Harvard (in the same class as Ralph Waldo Emerson). He married Sarah Johnson of New Hampshire in 1827 and together they had six children: Sarah, Charlotte, Frances, Edward, James and Kitty (Catharine). None of whom would outlive their father. One of the last members of the Whig Party, Kent served in the Maine Senate (1831-33), as the Queen City’s second Mayor (1836-37), and as an Associate Justice of the Maine Supreme Court (1859-1873). 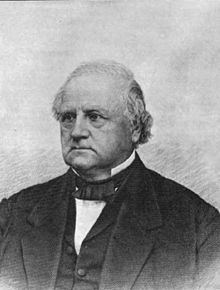 He is best known for his two non-consecutive terms as Maine’s Governor first serving in 1838-39, before losing his bid for reelection in 1839. His second term came in 1841. His first term almost didn’t happen. The margin of victory was so narrow that the Democrats challenged the results. However, the Maine Supreme Court named Kent the legal Governor and he took the oath of office. After his time as Governor, Kent would serve as the U.S. Consul to Rio de Janeiro from 1849-53—a post that would result in great personal tragedy. While living in Rio, Kent’s children Charlotte and James would both contract yellow fever and pass away. His wife Sarah wouldn’t survive the return journey and died en route from Rio in 1853. Kitty would pass away just two years after her mother. Kitty’s death left Edward as the only surviving member of his immediate family. 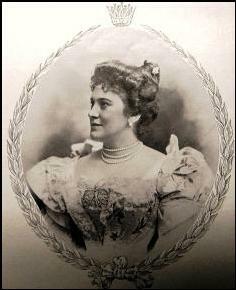 Edward then married Abby Rockwood—his first wife’s niece. Edward and Abby would have a son, Edward Kent, Jr.
Edward Kent would never again live in the Penobscot Street home he built. In fact, after returning from Rio, he never owned a home. Instead, he and Abby had a suite of room’s at the Bangor House, where they lived happily until his death in 1877. Perched on the b anks of the Penobscot River, just outside of Bangor’s downtown, sits the remaining buildings of the Bangor Water Works, that was once called an “engineering marvel”. Located on the site of Major Robert Treat’s 1773 tavern in an area known as “Treat’s Falls” the Water Works provided domestic and industrial water and increased fire protection for the growing city. 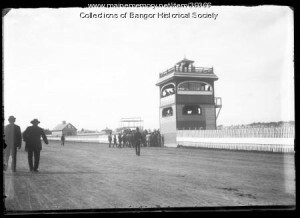 Prior to the Water Works Bangor residents got their water from wells or collected rain water in cisterns. The city’s poorest residents, who couldn’t afford wells or cisterns, found other alternatives but did not have “an abundant supply of one of the greatest blessings”, something residents found unacceptable. Citizens were also demanding that something be done about the “effluvia” (unpleasant and harmful smell or secretions) coming from the Kenduskeag Stream at low tide. The smell was due to the sewer system that had been established just after the end of the Civil War. It moved waste into the Stream and then to the Penobscot River. When the tide was low, leaving the Stream with little or no water in some places, the odor became unbearable. A February 1875 Act by the Maine Legislature changed everything. It authorized use of water from the Penobscot River and established Bangor’s first Water Board with George Stetson, Graham Boynton and the Water Works future Supervising Engineer, Luther Eaton serving as its members. They were tasked with planning, designing and implementing a system that would bring water throughout the city for an estimated $5 per household per year. The creation of the Water Works came from this board. The Water Works concept also solved another problem. In 1875 the city’s 20 street lights were gas powered. With the creation of the Water Works, city leaders saw the opportunity for the river to eventually provide electricity for those lights as well as buildings. 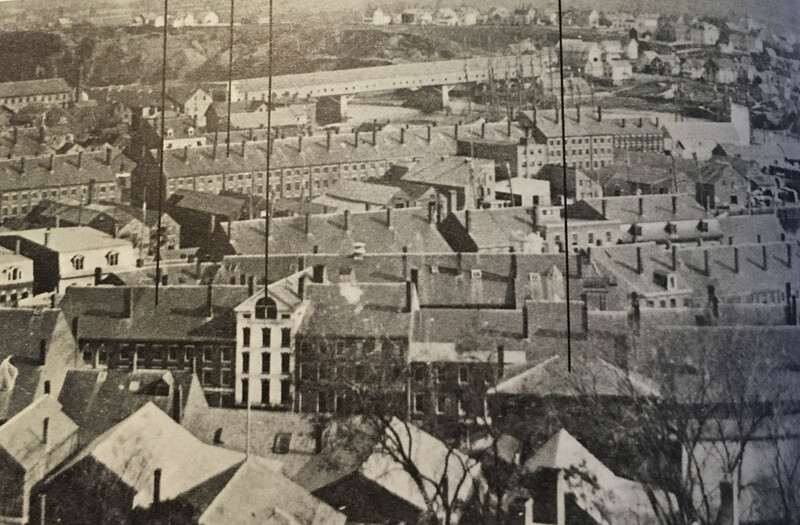 In mid-1875 the Holly Company of Lockport, New York began work. 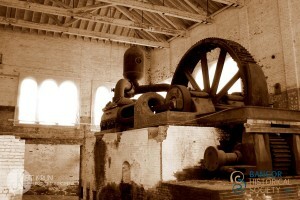 By the start of 1876 the Water Works was functioning with 17 miles of pipe. By 1877 there were another 3 miles of pipe and 149 hydrants. In 1885, just ten years after construction of the Water Works started, the 20 street lights had been converted to electric. Four years later, on June 19, 1889 the number of street lights had increased to 140 and were all powered by the Water Works. And, by 1899 the water works system had grown to 40 miles of pipe and 202 hydrants. 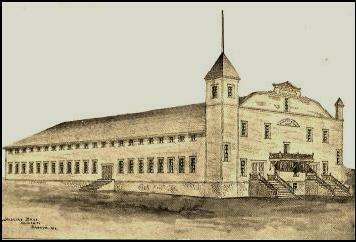 The initial Water Works complex included a 900 foot dam, wheelhouse, pump house and hose house. 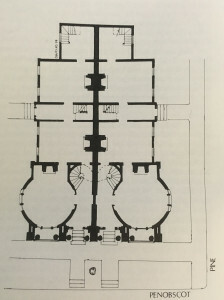 At the height of its use the Water Works complex would encompass 8 buildings. By design, the Water Works held 5 turbines with a capacity to pump 5 million gallons of water in a 24 hour period. Bangor only used 2 turbines and pumped just 3 million gallons. The remaining turbines and capacity were put in reserve. At its start, the Water Works Engineer and his Assistant both lived in an apartment over the Wheelhouse’s machinery room. In 1892 the living conditions were deemed uninhabitable due to the noise, damp and cold. Wilfred Mansur—who is responsible for the design of countless Bangor buildings and homes—created the gambrel style home that still stands on the property today. It was the 1897 addition of the new Head Gate House/Wheelhouse that attracted the attention of engineers who lauded the project as an “engineering marvel” for the 30,000 tons of rock placed at the river’s edge and the 2.5 million feet of lumber used to build coffer dams to hold back the water while the masonry was laid. Inside the new pump house sat the “Big Pump”—a Deane manufactured behemoth that was the largest power pump in New England. It was taken out of service in 1959. In the late 1800s the city began experiencing outbreaks of typhoid. In 1904, after 504 cases were reported in Bangor, a filter plant was added to the Water Works complex. Even in its earliest da ys, the Water Works was an economic driver for the city. Once it was up and running, the service provided by the Water Works led to the reorganization of the Fire Department and resulted in the formation of two new hose companies—one on Hammond Street, the Holly Hose Company, where, until recently, Cakes By Jan was located and another on State Street, the Elijah Low Company, named for the system’s Chief Engineer. The Bangor Water Works complex was in operation until 1970s. After sitting vacant for many years, and after various plans and rumors about its future, restoration came in the early 2000s when some of the buildings, including the Pump House, were converted into apartments. The “Big Pump” remains in its original home today.